Mercedes-Benz CLA Interior, Sat Nav, Dashboard | What Car? The dashboard is similar to the one in the A-Class, which means it’s smartly styled, with circular air vents similar to those in the SLS supercar. The cabin materials aren't as plush as those in the Audi A3, but everything feels solid, although there's an unusually large gap between the B-pillar and the front door inserts. As in other Mercedes, you operate the infotainment system by scrolling through menus with a single control dial positioned between the front seats. Unfortunately, these menus aren’t especially well laid out, so the system can be distracting to use on the move. There’s a huge range of seat and steering wheel adjustment to help the driver get comfortable, but rear visibility is compromised by the CLA’s swooping roofline. Every model comes with seven airbags, Attention Assist (which monitors driver fatigue) and a radar-controlled collision-prevention system. The options list includes adaptive headlights, blind-spot and lane-keeping assist systems and speed sign recognition. 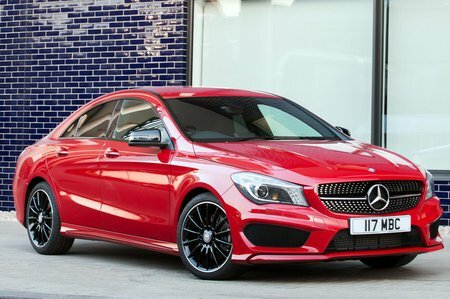 The CLA was awarded the maximum five stars in Euro NCAP crash tests, while deadlocks and an engine immobiliser help guard against theft.